Ok, so it is officially summer in Greece and that means tourist season. Athens, the islands and Greece in general is filled with visitors enjoying Greece and if you are one of them here are 6 tips to help you get the best food experience. *Avoid fried things such as meatballs, small fish, fries-not because they are fried but because many of these restaurants pre-fry these foods and then just warm them up, as a result you will be eating mushy and not crispy food. Also do not order moussaka. I know this will disappoint some people but really it is true. Ok, moussaka (which is not really Greek anyway-but that’s another story) is not a simple dish: it requires frying, making béchamel, layering everything, using the right spices and good ingredients and that means fresh oil. My mom makes one of the best moussaka I have tasted, but she makes it rarely because it takes so much time. So you are better off learning it yourself, then eating at a taverna, which most likely has been put together quickly and frozen and defrosted one piece at a time… and it is a shame to eat average moussaka. They do exist, but what you’ll get is overpriced non-Greek foods such as guacamole and vegetarian risottos. But honestly, if you have been reading my blog you probably realize by now that Greek cuisine has hundreds of vegetarian main courses. 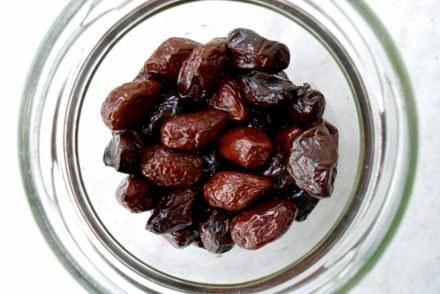 Considering that Greeks had to fast for over 200 days a year from animal products you realize that they had to come up with several vegetarian recipes. Summer is the perfect time to take advantage of all those wonderful lathera: vegetables cooked in olive oil and tomato with herbs. 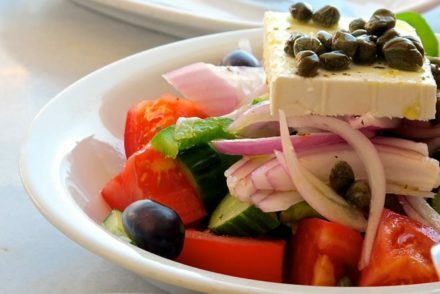 You can find in almost any tavern restaurant traditional vegetarian meals such fasolakia (green beans), briami (Greek version of ratatouille), gemista (tomatoes and peppers stuffed with rice), melitzanes (eggplant) as well as several appetizers such as Greek salads and dips. And don’t forget the pites (pies) a nice spanakopita (spinach pie) can make a complete meal. These restaurants/taverns are all over the place, they have Greek food, they have pizza, they have pasta, they have burgers, most of the time they just have average food. Stick to places that offer one type of cuisine. Lamb and goat, some people have the impression that these meats have a strong taste, well sure, they do not taste like chicken, but generally good Greek lamb or goat has a mild taste and smell, not only due to the environment but by the fact that they are young and also by the way they are cooked. 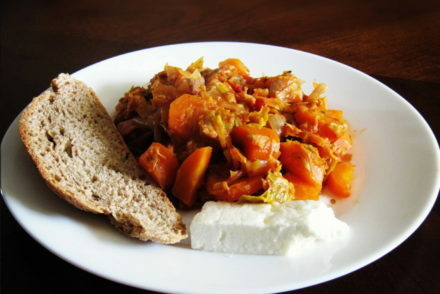 Stewed meat such as beef or chicken or lamb in tomato sauce (kokkinisto), or these dishes: pork with celery or lamb with greens (antidia), which are made with an egg-lemon sauce. If you want to find out where locals are going, you really need to look at what the locals are reading. I have not come across a good updated/current guide to restaurants in Greece in English, so I would recommend you check out the Greek site using Google translate athinorama.gr for more up to date information on places to eat. I also have translated and developed a separate page with a list of restaurants that have been awarded best restaurants here in Greece, the awards are called Golden Chef’s Hats Awards and they are given by Athinorama, you can see the awarded restaurants by clicking here. Many of these restaurants also have Michelin stars. There is also a separate category for excellence in Greek cuisine which is also on the list, these are generally more down to earth restaurants and have good honest Greek food. I will updating this list every year when the new list is announced. Really interesting to read. I am now going to look round your website to see if there recommendations on where in Greece to go for great food. We visited San Sebastian in Spain this summer, and the area, enjoying both pinchos aimed at tourists and traditional restaurants. 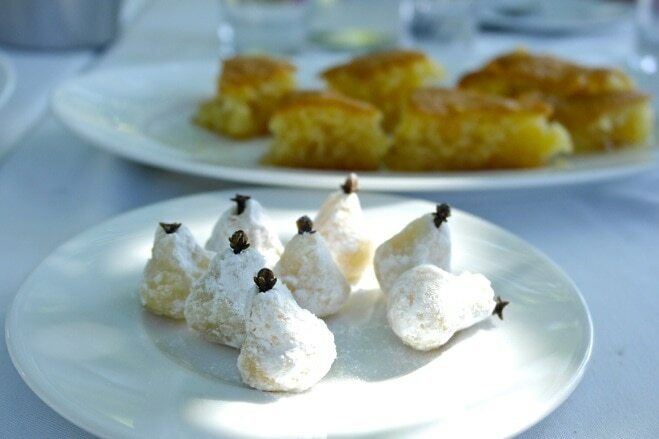 I wonder where to go in Greece for great, authentic, traditional food? Congratulations to your tips! It was really heapful. I loved! Thank you very much! 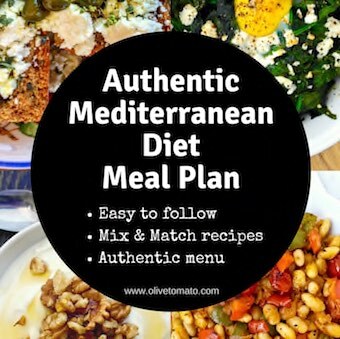 Just got back from a week in Skiathos, so glad I read this before I went as it made such a difference compared to other Greek holidays I’ve been on 🙂 Interesting that you say about moussaka. This is one of my all-time favourite dishes but it never occurred to me that most places wouldn’t cook it right. I guess making your own is really the ultimate solution. Any chance of a recipe please?! Thanks Katarina! Yes, I’m working on a regular and vegetarian moussaka too!